What is current state of the lower middle M&A market? The GDP of the U.S. Middle Market alone is accounted to rank as the fourth-largest economy in the world, just behind Japan’s. Hence there is a need to understand this important market sector and one of the most vital drivers of America’s economy. M&A Pros are quite optimistic on the middle market outlook today. M&A industry insights point to the fact that there will be an increase in overall activity for middle market companies in the coming year. With small businesses growing in number, revolutionary innovative technology and a fast paced global competitive environment, the middle market is now in the midst of an extraordinary transformation. Is deal volume up or down? 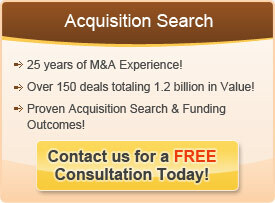 During the past 12 months we have seen a dramatic turnaround in the M&A market. Deal count, total transaction value, and acquisition prices have increased from the lows and the middle market continues to play a significant role in the overall M&A transactions. With a whopping 94% of all deals announced, the total M&A volume is concentrated in the middle market arena. This is attributed to the potentially lower risks associated with smaller acquisitions relative to large-cap activity. Even though there was a slight decline in the number of private equity exits, deal volume still remains near recent highs. Are valuations up or down? Major factors that are driving valuation activity include the astounding level of cash on the sidelines, improving lending market conditions, and the overall improving animal spirits of business owners. There has been a wide range in current valuations for lower middle market companies. The valuations are influenced by company or industry-specific factors. The current industry characteristics, market share and sustainable competitive advantage for companies determine valuation range largely. It can also be the result of the diversity in revenue sources, historical financial performance and varies from sector to sector.